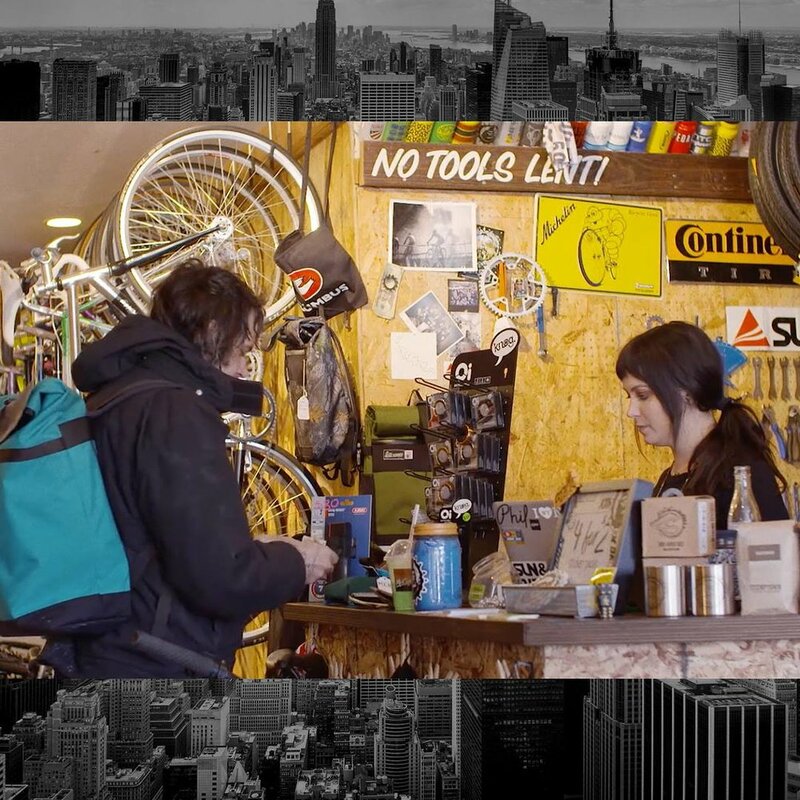 Cyclist, fashion consultant, women's activist, and progressive bike shop owner, Anna Maria Wolf, gets real with Timbuk2 on what matters most. I played dress up and built forts and read everything I cold get my hands on. My creative and maker instincts sort of overwhelmed everything else, and I got super lucky and was admitted to a high school in Miami for fashion. I quit smoking after 18 years. Getting active was a real challenge. I bought a bike and hoped I might enjoy it on weekends, just around my neighborhood in Brooklyn. I got hooked right away; the freedom and sheer joy I felt was exhilarating. Within a few weeks I was commuting to work and eight months later I sold that first bike, hired a coach, and set out to train for my first road race. YOU HAVE SEVERAL JOBS. WHY MORE THAN ONE AND HOW DO THEY FIT TOGETHER? WHAT'S THE HARDEST PART OF WHAT YOU DO? Accounting! Math was never my strong suit and I spend a lot of time with P∓L statements. I am immensely proud that our two shops provide meaningful, steady employment for people who are passionate about seeing more people on bikes. I love supporting the NYC cycling community in anyway I can, from the roadies on full carbon, to our women’s track team (SpinPeaks), to mom’s on cargo bikes, to delivery folks who work hard on their bikes. It’s an honor to serve people who ride bikes. I hope Pretty Damned Fast continues to connect and inspire women all over the world. It matters because bikes really do make the world a better place, and they make people happy. I hope I can give back to others a tiny fraction of the joy bikes have given me. Because Brooklyn is beautiful and bikes are the most practical, fun way to get around this part of the city. And nothing beats the joy of cycling over one of the bridges to leave the chaos of Manhattan for the quieter streets of Brooklyn. WHAT IS THE STATE OF WOMEN AND CYCLING? Women* (Women/Trans/Femme and Non-Binary folks) are the fastest growing group within cycling. Sites like Pretty Damned Fast, social media, and progressive racing teams and athletes have changed the way brands view the market. Cities are recognizing how cycling improves everyone’s quality of life and are putting in more bike lanes, and shops like mine function as community centers for folks who’ve traditionally been underserved by the industry. It is an incredibly exciting time to be a part of this movement. My husband and I travel frequently to visit my family in Mexico. There’s great mountain biking in Guanajuato where my family lives and we’ve had awesome adventures on folding bikes all over Yucatan (read all about it here). Community board meetings! The city is shutting down the main subway line (the L Train) that connects Brooklyn to lower Manhattan. My shop is a retail space and community center for people who already ride...and those who haven’t started cycling yet. We must use the platforms we have to lobby for safe, affordable, practical means of transportation in NYC. Mediation, going to the park with my husband and our two little dogs, and my bicycle commute home. I want my schedule to open up a little so I can do more endurance riding! FASHION MATTERS TO YOU. WHAT DO YOU FEEL BEST WEARING? It’s The Smiths and Morrissey at the shop; we named the shop Sun And Air.